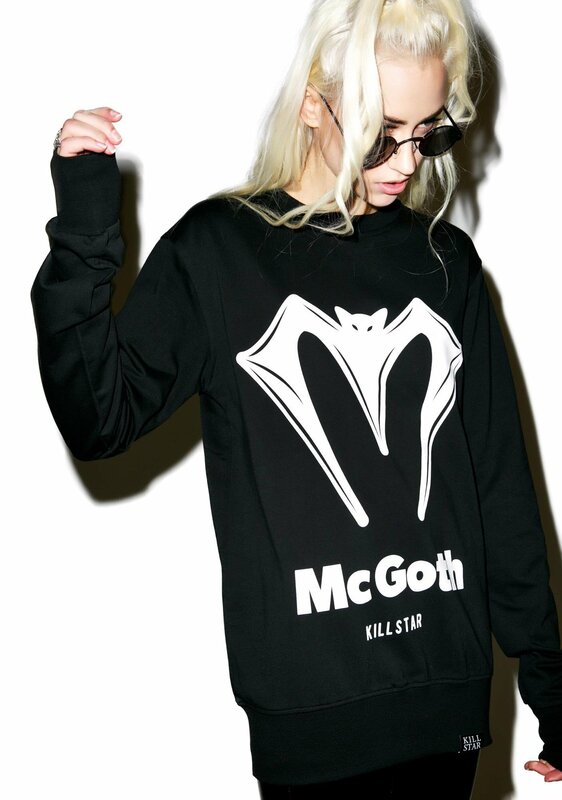 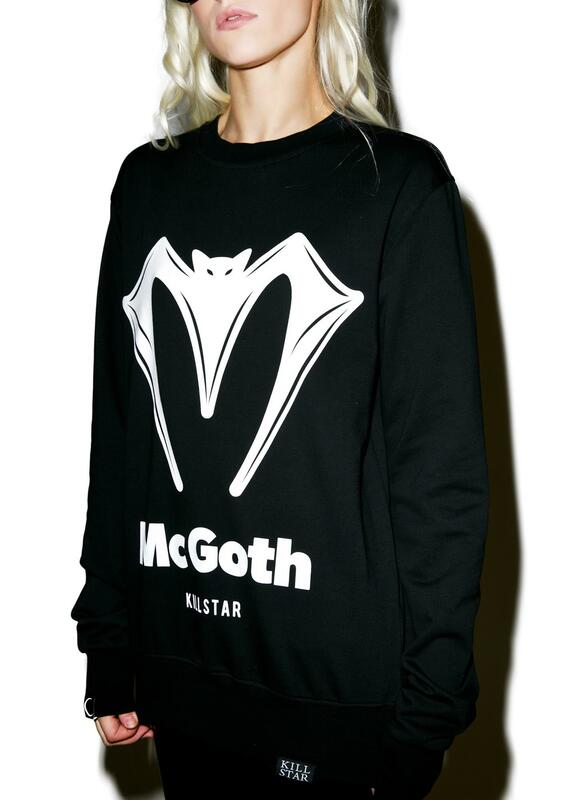 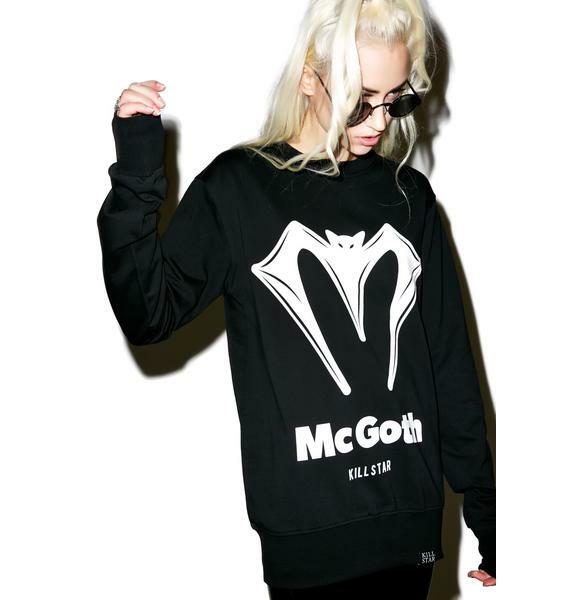 Killstar McGoth Sweatshirt will have ‘em eating their words for ever doubting yer hunger. 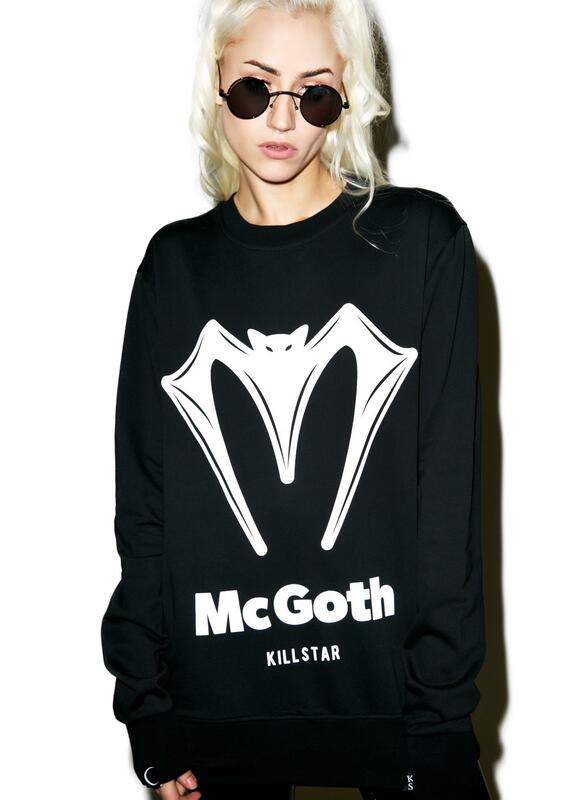 Supa sized and perfectly relaxed fitting, this long sleeve crewneck sweatshirt is extra soft and comfy. 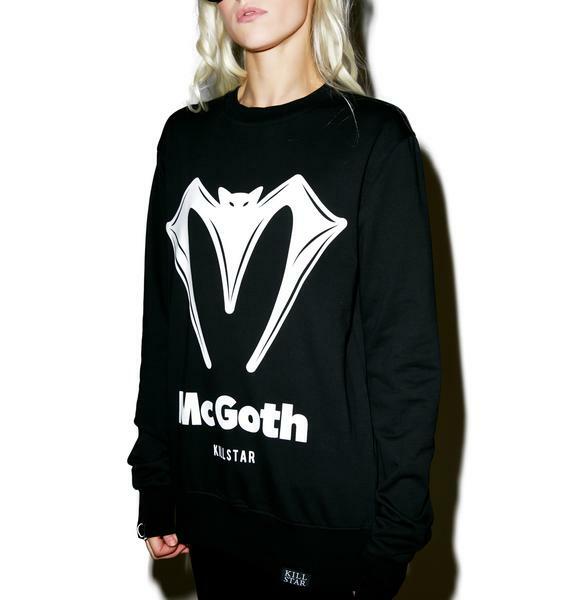 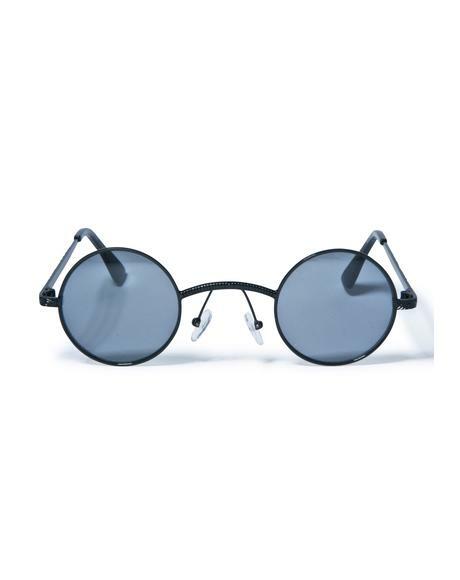 Featuring a statement,”McGoth” and bat print and banded trim yer good to-go BB.